Chatbots are back!!! Everyone stop what you’re doing and go to Manychat.com and authorize the app for your veterinary practice now! Seriously, go and do it, it is free to sign up. Earlier this year, Facebook froze the chatbots for new users, so unless you had already signed up for Manychat or a similar program you were locked out. Luckily, Facebook just opened ManyChat back up for everyone. So what are messenger bots? Why Should you care? In the simplest terms, messenger bots are like fancy email responders, if emails got 90% open rates and were easy to use to create logic based responses. Messenger is seriously one of the most amazing mediums to market and engage on. You can create tools to create subscribers that are super frictionless, you can engage with multiple content types and you can talk to your clients at scale. In today’s episode, I cover some best practices for messenger, why you should care about messenger, some marketing ideas, and best practices. I also walk through all of the Manychat features and explain their functionality. Consumers are wanting to get answers to their questions immediately. We are in the era of one click to buy your same day delivered items, and it is only going to get faster and faster. 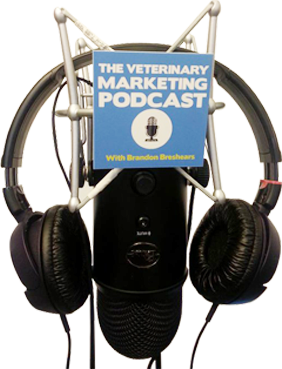 Just because you’re a veterinary practice doesn’t mean that the way you engage with clients and customers will be any different. You’ve got to adapt to the times and ways that your clients want to engage or you’re going to be left behind. Chat bots let you do that by creating systems that can do most of the leg work and segment people into the right buckets. Once someone has gone through the proper channels and identified themselves as someone who needs to be spoken to, then you can take your time to engage, but it will have positive ROI for you and your practice. Get on the chat bot bandwagon before it gets crowded, there is so much opportunity here!